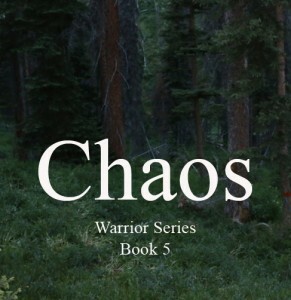 Chaos, Book 5 in my Warrior Series is now available on Amazon and Barnes & Noble and will be available on iTunes in the near future. I hope all my fans like this installment as much as they enjoyed the previous books in the series. For anyone out there who hasn’t started reading my Warrior Series yet, what are you waiting for? Check out my Brochure for additional details and purchase links. All pictures and buttons throughout the publication are links. It’s a quick and easy way to learn more about my intriguing world of warriors, fae and vampires. Happy reading! Many of my books are also available in paperback and I'm adding new books all the time. Be sure to watch for the sixth installment, Exposed coming this winter. In addition, I am getting closer to completing my next stand alone novel, Mount Haven. As always, if you have any questions don’t hesitate to ask. You can contact me by visiting my Author page at www.melaniepsmith.com or just send me an email to author@melaniepsmith.com. Melanie, I just finished the first book. It was amazing and I couldn’t put it down. I can’t wait to go buy the second one and start on it. I love series books. You are an amazing author. Yea!! Just went to Amazon and bought the book. Can’t wait to read the next installment of this fabulous series. Loving the Warrior series. Thank you Kellie. I hope you enjoy this installment as much as you have loved the others. Each of my Warriors have a unique personality as well as unique flaws. I really enjoyed telling Bastian and Kylee’s story. Hopefully you will love them, too.